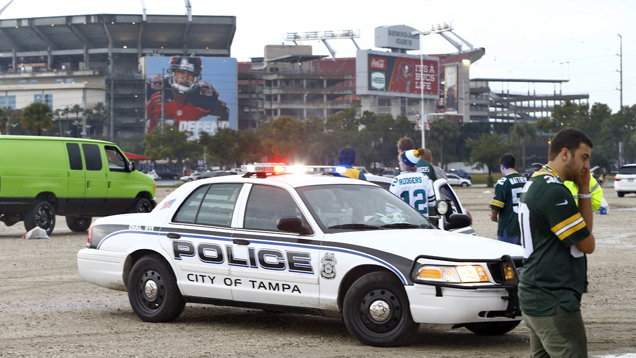 On Sunday, paramedics took seven football fans to the hospital after lightning struck a parking lot outside of Raymond James Stadium in Tampa. According to the NY Daily News, the strike was called in to emergency services at 4:10 p.m., shortly after the Tampa Buccaneers played against the Green Bay Packers and as fans were still leaving the stadium. A Tampa Fire Department spokesperson told the Associated Press that none of those injured appeared to have been directly struck by lightning, but the bolt did "kick up rocks and gravel and knock a few people down."